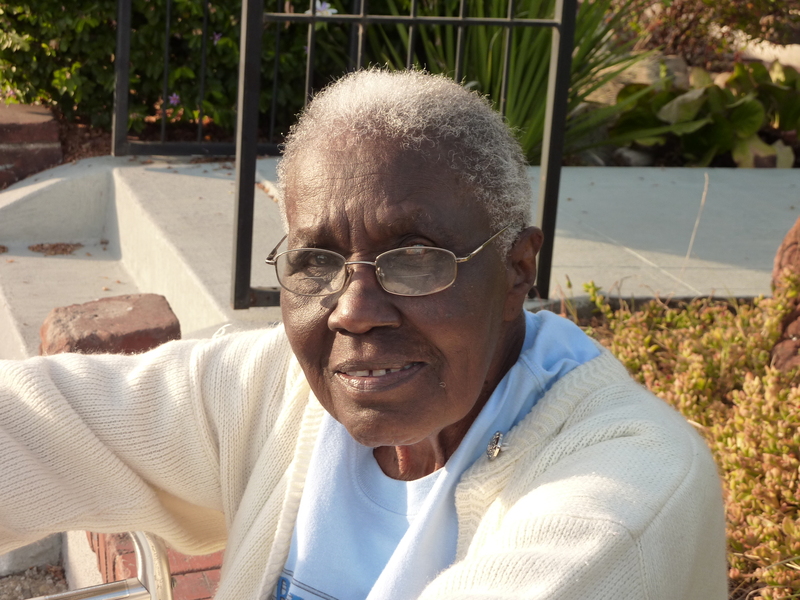 On most afternoons, if you happen to pass by the corner of Walnut and Renwick streets in Oakland’s Maxwell Park neighborhood, you’ll see Mary Chester sitting on a neighbor’s short retaining wall, leaning on her aluminum walker, soaking up the sun, and smiling at all passersby. She sits on the corner until the sun goes down over her house, waiting and willing to talk with anybody who stops to talk with her. She is a 92-year-old African American woman, and she says she’s lived in the same house on Walnut Street for 40 years. 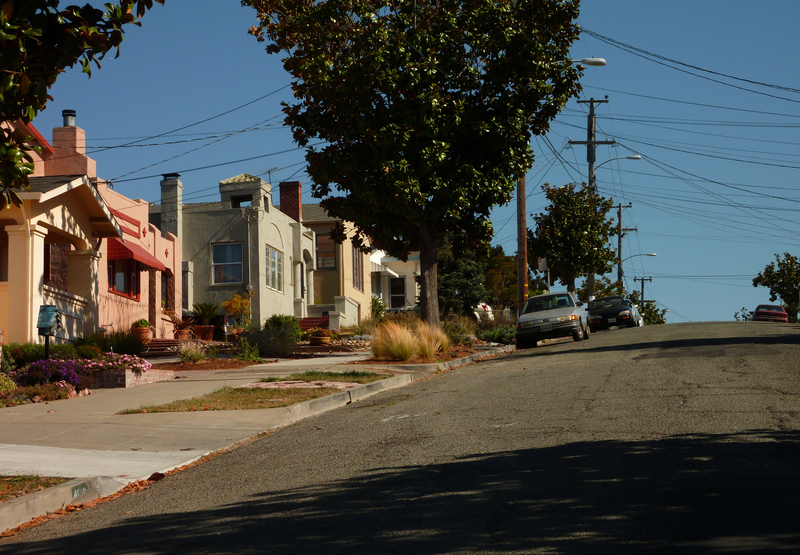 Chester came to the Bay Area from Arcadia, Louisiana, by way of Southern California, following her sister’s lead. She eventually headed north with the man she married, Willie Chester, her second husband. He was a cement finisher. He died 14 years ago. Although she never smoked or consumed alcoholic beverages, Chester says she is “addicted to Ensure,” a nutritional drink that’s supposed to promote muscle health. Her doctor told her she can have only one bottle a day, but she was drinking three. She’s on dialysis, and if she drinks too much Ensure, her kidneys can’t keep up and she can’t breathe. A guy in a new-looking SUV waves at Mary as he drives down Walnut. A woman driving down Renwick does the same thing. Mary stopped driving a couple of years ago. Was it voluntary? “Well, not exactly.” She got mixed up on which pedals she should use and had a collision. “My neighbor drove until 100,” she says, but stopped after refusing to get better car. Chester used to walk around the block, but she doesn’t walk too far anymore. Getting around on the walker is slow going. But she gets herself out there and out of her house, where she lives by herself. She doesn’t have any children. Mary misses her friend who recently died, a retired fireman who lived at end of block. She was kind of sweet on him, but it never went anywhere. The man never told his age, and she never understood the point of that because he looked like a senior citizen. “He wasn’t going to fool anyone,” she said. She later found out that he was 82. Chester used to have a dog, but says the woman who used to walk it allegedly absconded with it, thinking it wasn’t getting the proper care. Chester is still kind of ticked off about that. The dog walker happened to pull up in her car while we were conversing, and pulled over with a car full of dogs. Chester yelled, “What happened to my dog?” The dog caretaker put her hand over her face and wearily shook her head. Chester says she still has land in Arcadia, which is near Shreveport, and it has oil on it that is sometimes drilled. Her niece is thinking about moving back to Louisiana, but Chester doesn’t want to sell her Oakland home. She says she bought it for $29,000, and she doesn’t think she’ll get what the house is worth if she sells now.